There are ways to easily curb your budge over the holiday season and I have shared some of my favorite holiday saving tips over the last few days. They are practical and ones you can easily do without feeling like the Grinch! 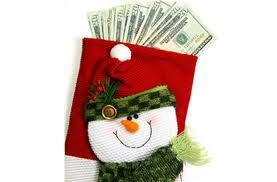 See the Holiday Saving Tips 1 & 2, and 3 & 4, today comes 5 & 6. Try to implement a few of the tips, or even ONE, but do something to find some holiday savings. Start on the road to saving somewhere, somehow! You won’t be sorry. Besides you can always go back to spending more if you want! Holiday Saving Tip #5 – Know what and when to spend. Pick a deadline, use cash (or pre-paid card) and shop alone. Choose a date when your Christmas spending is over and stick to that deadline. Deals and sales will continue up until Christmas. When you hit the store for a hot deal, most likely you’ll buy more than just the deal! That’s what the stores are banking on. Use cash (or prepaid card) for all holiday purchases, get $50’s and $100’s, and keep your holiday money for shopping separate. You will be less likely to break the big bills on unnecessary purchases. Go it alone — get in and out of the store quickly. Having a friend with you slows you down and seeing all the things they are buying will tempt you to purchase more than planned. Just meet your friend for coffee or lunch, but don’t shop together! These 3 specific tips will help eliminate the aimless spending that we have all done. Arm yourself with your receipts and ads. Many retailers offer price match guarantees; some for the season only and others are year around. Ask the store if they offer a price match or sale guarantee or check online. Some of the programs offered by the retailers include price matching if an ad from online or print ad is presented. Or a purchase guarantee if a price is lowered in a given time period a refund may be offered. Keeping your receipts organized is easy. Simply use an envelope for all Christmas receipts or use technology. There are apps for phones and computers that will scan your receipt and keep it filed. Just a little bit of added effort will keep more money in your wallet.